Sony needs to make some bold moves to bring back the attention to its smartphones and last week leaked renders showed some of what the company has in store for us. The Xperia XA3 is a device with an extra tall screen, sporting a ratio of 21:9. While we’ve gotten used to tall screens, what we don’t see much anymore are big top bezels or “foreheads” on smartphones. True to Sony’s yearlong styling, the XA3 will have a respectable top bezel to house the front-facing camera and speaker, but at least it the top bezel will be almost unnoticeable. This was confirmed from what we can see in a new video released by DroidHolic, showing a working unit of the Xperia XA3. The baby seems impressed, that's a good sign for Sony! As far as hands-on videos go, we’ve definitely seen better ones, but there are still things to pay attention to on this one. From what we can see from the front and the back of the device in the video, it appears to fully match the renders we saw earlier, leaving little doubt that it is indeed the XA3. Unfortunately, for most of the video there’s an app with thick black bezel at the bottom (could be because apps aren’t usually designed for such a tall aspect ratio), so we can’t get a good idea of how the display really looks, but a frame when the device is locked reveals that the chin of the phone is indeed very thin, to the point it’s not even accurate to call it a chin. The design is definitely an interesting choice by Sony. It’s hard to judge how useful those extra pixels will be in practice, so we’ll have to wait until we get our hands on it ourselves. 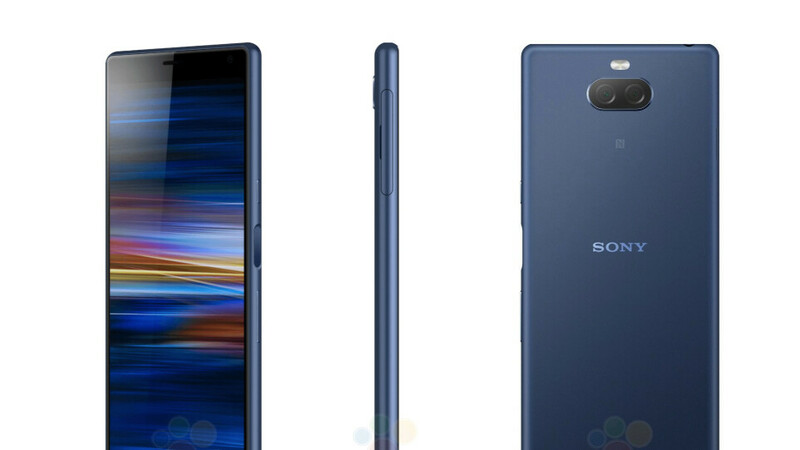 Specs-wise, the Xperia XA3 is expected to have the mid-range Snapdragon 660 SoC paired with 4GB of RAM and 64GB of storage, while two Sony cameras on the back will take care of the pictures. The official announcement of the device is expected to happen during MWC 2019, so in just a couple of weeks, we’ll know all the details about it. What Sony did with that remote-control-like height is simply worrying. I mean, really, don't they have some managers with common sense ? How can they green-light something like that ? I wonder the same. Who approves these things? An explanation could be that they have given up on the idea that they will generate any meaningful sales, so they are just trying things to see what sticks. But even for this they need a minimum of logic and planning. It's like saying " we are Sony, so we provide film content, so the phone has to reflect that". But what about the rest 95% of the time you spend with the phone without watching films? The baby is terrified actually. Well they solved the bottom chin syndrome other oems can't figure out... Now the top?? That bottom bezel is even thinner than that of apple. Looks like they inverted the display and took the controllers to the top portion.